Corporate events are all about creating a memorable experience for your employees, partners or clients while respecting the norms of a corporate setting. Everybody likes music, so having a DJ is a good idea, but you can do better than that. This is why you should consider booking String Angels. If you want your corporate event to be a vivid memory for your employees and partners, go the extra mile. Hiring the right kind of entertainment is an excellent way to elevate your event. Here’s what you need to know about String Angels and their electrifying show. They are three beautiful women with three electric violins. Their show is all about bringing the classic style music to the 21st century with a bang! Your event could be next on the list! Why Are String Angels an Excellent Choice for Corporate Events? Their show is designed to fit in well with any type of corporate event. The three ladies bring to the stage a style that can’t be easily matched. Their professional approach and their diverse repertoire make them the best choice. Their signature pink electric violins along with their stunning dresses are meant to create a big impact on stage. The String Angels will have no trouble respecting your event’s dress code, so that’s one last thing you need to worry about. They are the full package when it comes to high-quality corporate entertainment. Their show usually involves adapting famous classical tunes to the present. This means adding a contemporary twist to them. However, the playlist can accommodate different event themes. Their music fits in very well with party themes like James Bond, for example. For What Types of Corporate Events Should You Hire Them? 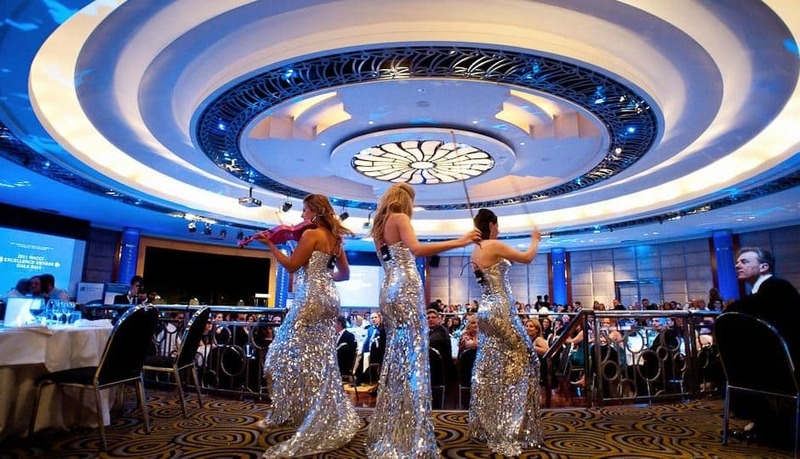 The String Angels have performed at different types of corporate events. They are open to new ideas and love a good challenge. They once performed on horseback during a unique show! Their type of entertainment for corporate events is perfect for elegant galas. The String Angels can be booked to play at employee appreciation parties, conferences, openings, company milestone events, and more. Interested in Booking the Group? It is important to know that if there are many guests at your event and you feel like you need more people on stage, the trio can become a quintet. 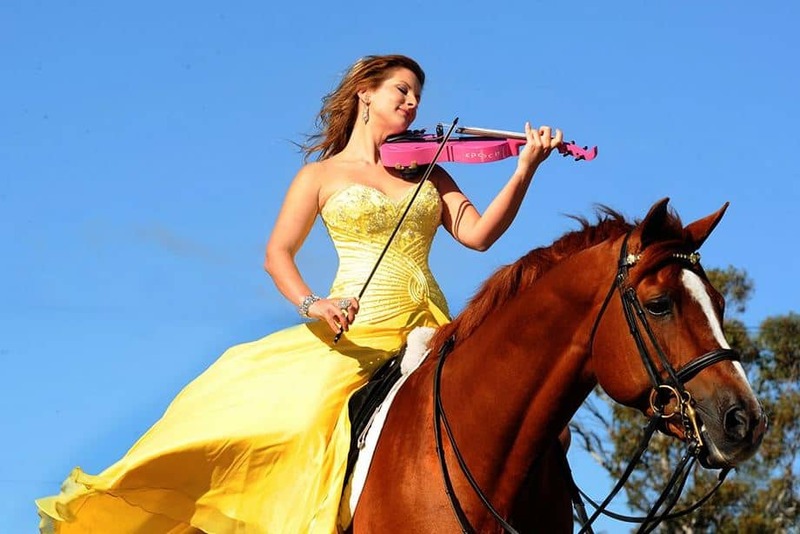 You’ll have five violin performers at your event. In this case, the group’s choreography will adapt as well. If you want the entertainment at your event to be sophisticated and classy, this is the right choice for you. Here are some testimonials that were written by corporate events professionals which describe the group’s performances. If you’d like to hire this electrifying trio for your next event, you can call us at (615) 283-0039. You can also contact us online.